Florida West Economic Development Alliance received a Gold Excellence in Economic Development Award for its “The Bluffs”, a project in the category of Video/Multimedia Promotion from the International Economic Development Council (IEDC). 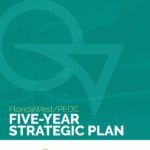 Located in Florida’s western-most city of Pensacola and Escambia County, FloridaWest Economic Development Alliance is the region’s economic development organization. During the summer of 2017, a marketing plan was drafted to market “The Bluffs, Northwest Florida’s Industrial Campus” and provide an identity and preliminary tools with which to promote the project, including the video used in this multi-media piece. The video was produced with a dream team of small Pensacola companies: Vivid Bridge, Pelican Drones, Calliope Films, along with FloridaWest Director of Communications Sena Maddison and Melissa Medley of Vision First Advisors.